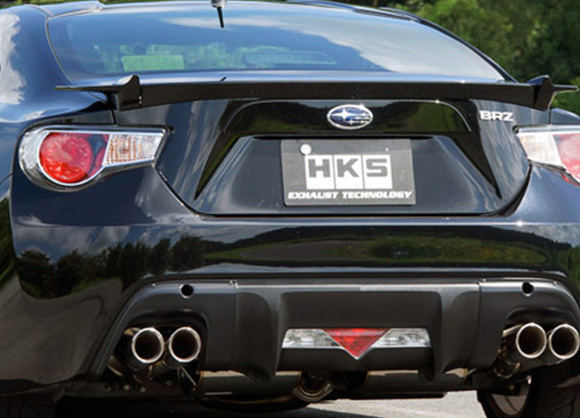 High response and cool sound make the FA20 even better with these HKS exhaust systems. * Actual parts could be different from the photo. 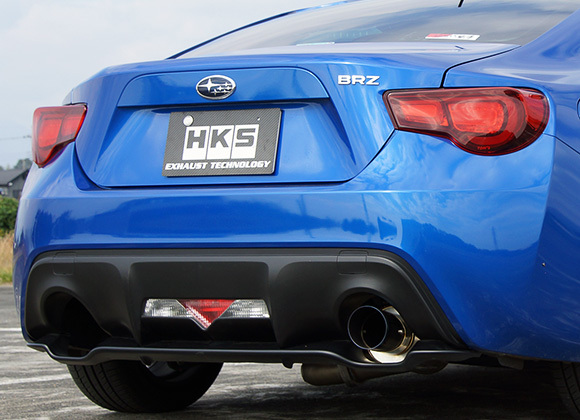 We have analyzed the layout and the engine itself to produce most advanced exhaust system for 86/BRZ by the HKS know-hows. We made it highly efficient, too and still have quiet sound. 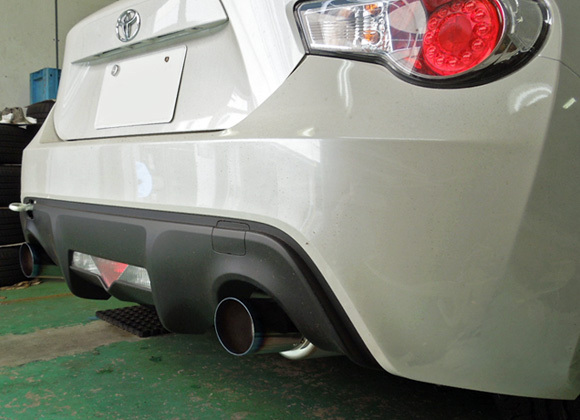 The design of the muffler for rear appearance is sporty and beautiful. Nowadays, the automobiles are getting heavier for the safety matter. 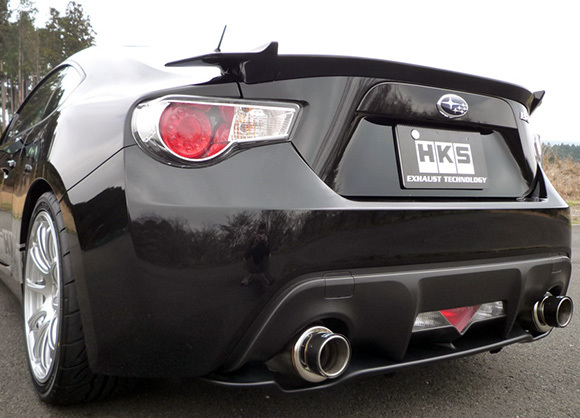 But 86/BRZ is very light weight sport car. It’s usually difficult to cut the weight than produce more power. 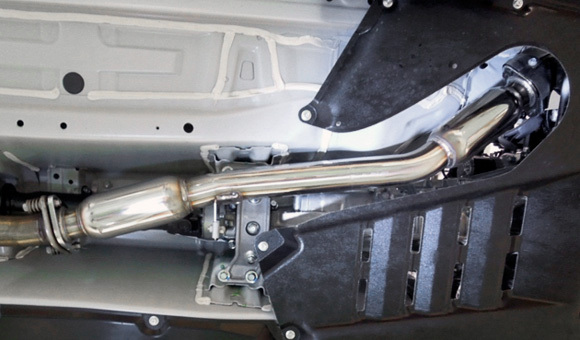 But we made much lighter parts than the stock exhaust system to have a better performance on the road. 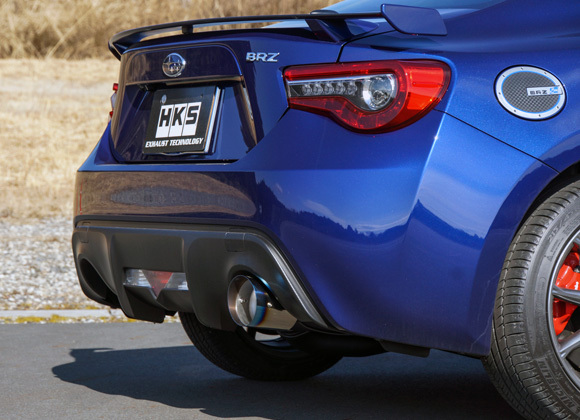 Changing the muffler of the 86/BRZ make it fun to drive, but as a total tuning company, HKS offers perfect tuning solutions from muffler to engine parts. With our newest technology developed from the D1 racing project and laboratory, we make a most advanced 86/BRZ in the tuning market. For both quietness and low pressure. 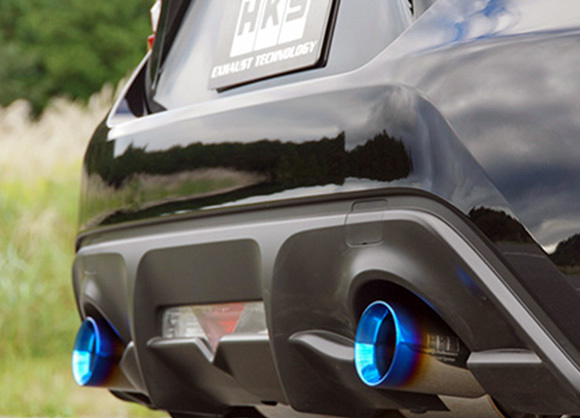 Blue gradation exhaust tips. Compatible with the late model. 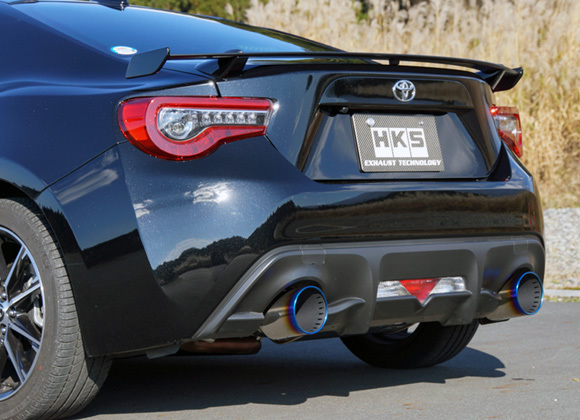 Exhaust System with Dual Exhaust Tips for "Subaru BRZ"
Ideal for those who wish "gently" tuned car with "low exhaust pressure" and "quiet vehicle interior". Only for BRZ. Special garnish is included. (Modification of stock bumper is required.) Not compatible with the late model. "Lightweight" is the development concept. Stock is 18.0kg but HKS for only 10.4kg! New slit tail design muffler gives you stylish appearance and sporty sound. Etc. : New 2010 Noise regulation certified for both of; "Main + Center pipe" & "Main only"
Only for Late Model with Blue Gradation Exhaust Tips. 75mm straight through low back pressure design! 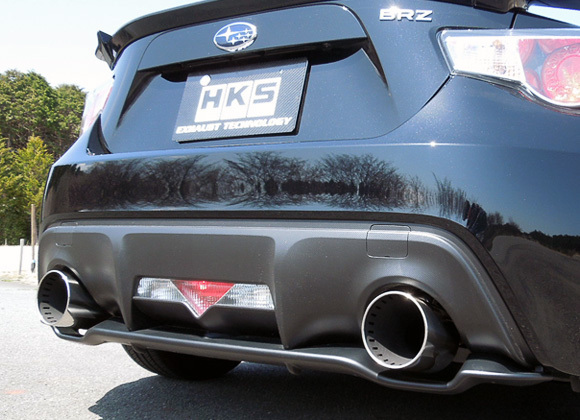 A large-size silencer eliminates uncomfortable exhaust resonance! Note; Closed sound level under US measurement method is 95dB." 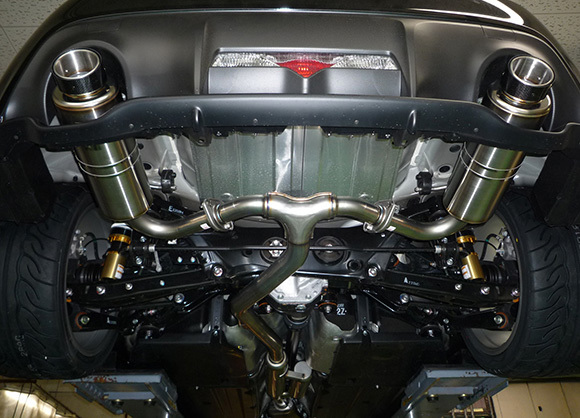 SUPER MANIFOLD with CATALYZER GT-SPEC Exhaust Manifold is the key to the 86/BRZ power upgrade. 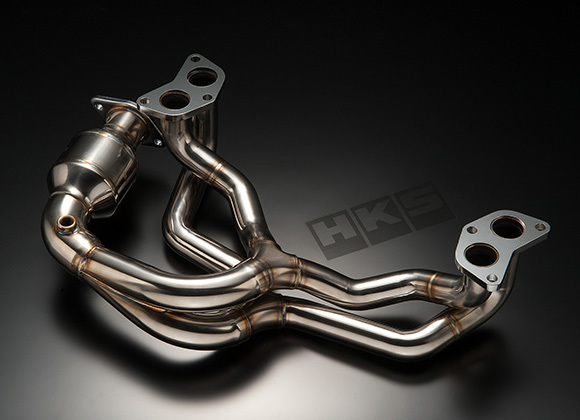 The stock manifold has the catalyzer which prevents from better performance. 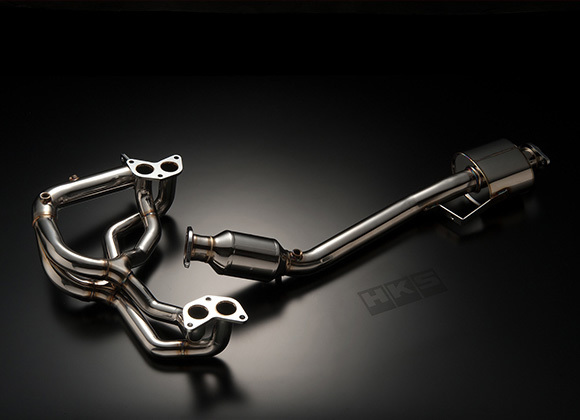 But HKS catalyzer can provide more power because of the less resistance and better cleaning exhaust which passed the Japanese gas regulation. 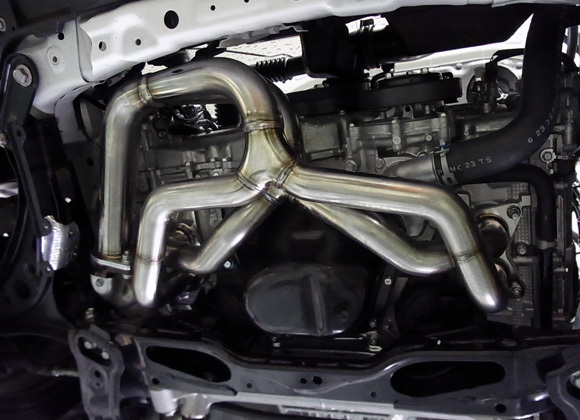 SUPER MANIFOLD with CATALYZER R-SPEC is more advanced and upgraded product of SUPER MANIFOLD with CATALYZER GT-SPEC. The main features of this product are the optimized bank pipe diameter for the right and left sides and vehicle specific catalyzer to manage both the exhaust gas and engine output. 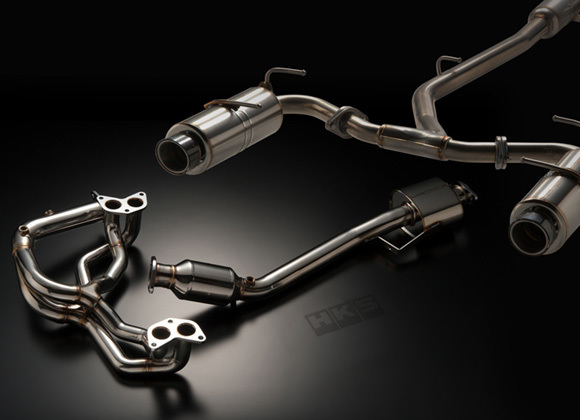 This product promises to be an exquisite piece for "Subarists" who know the exhaust sound to enjoy. The durability of this product was tested to guarantee it. 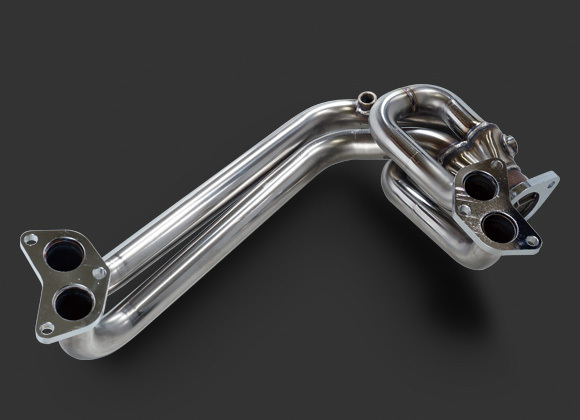 Full exhaust system of “SUPER MANIFOLD with CATALYZER R-SPEC” that has a new layout design of a straight catalyzer at the exhaust manifold, with front pipe with HKS metal catalyzer, and super-light and high-efficient “Hi-Power SPEC-L” Compatible for Japan exhaust regulation and acceleration noise regulation. 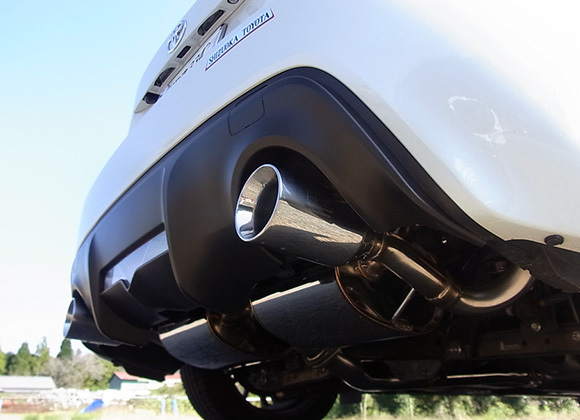 We recommend having a total full straight exhaust tuning by having more power by changing the muffler and exhaust manifold and tune the sound with the front pipe. * If the exhaust manifold is changed, the engine check light might be turn on for a certain combination. So the muffler + front pipe combination is an effective choice.